In this blog entry, Jeffrey Brune, co-editor of Disability and Passing, describes how editing his book prompted him to review his own experiences with stuttering, claiming a disability, and passing. 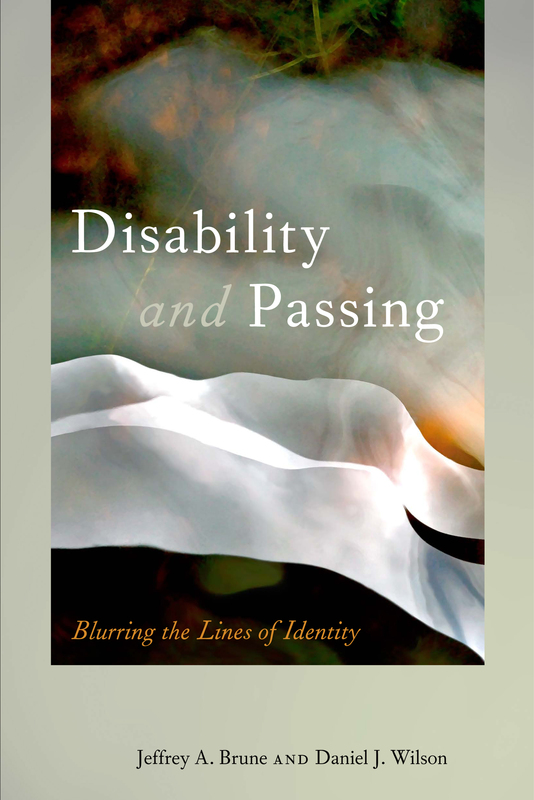 As co-editor of Disability and Passing, it was not my intention to learn about myself. However, now that the book is done I realize that seems to have happened. Having stuttered to a greater and lesser degree throughout my life I frequently pass between—and defy—the disabled and nondisabled categories that many parts of the anthology call into question. Growing up, my parents sent me to speech therapy and emphasized the importance. of not letting a speech impediment limit my options in life. My father had stuttered as a boy, was teased for it, and felt his life would have been worse had his stutter persisted. He wanted to ensure that his son also escaped the limitations of a stutterer. Within this family context, I went to speech therapy to learn to speak fluently and thereby overcome my disability. My goal was to pass as a “normal,” fluid speaker. Through my speech therapy, I tried to become normal but, at the same time, not to change my words or refrain from speaking when I was unable to pass successfully. While my stuttering caused me some frustration, I became accustomed to the discomfort of stuttering. I also became accustomed to never having it acknowledged. By pretending not to notice my stutter people helped me to pass, which I appreciated. On the rare occasions when someone did acknowledge my stutter I tried to move on as quickly as possible. After my sophomore year in college I attended an intensive summer therapy program at Hollins Communication Research Institute. Before I left for Hollins my undergraduate advisor, college roommate, and the person I was dating all asked me why I was doing this and suggested that it wasn’t necessary. Without using the vocabulary that I now employ in scholarship and activism, those three friends gave me my first exposure to some of the central tenets of the disability rights movement and disability studies. After coming back from the difficult work at Hollins, I felt frustrated that my speech was not improving and questioned whether I needed to change. Not wanting to struggle through grueling, daily homework assignments for the next two years, I finally resigned myself to being a stutterer and declared I would no longer try to change my speech. Twelve years later, when I arrived at Gallaudet University as a professor with little knowledge of deaf issues, I understood immediately many aspects of deaf identity politics, including resentment toward oralism, speech therapy, and medical efforts to fix hearing impairment. At Gallaudet I encountered many deaf people who articulated ideas that I had been feeling but unable to express for more than a decade. That was liberating. Ironically, that deaf context—which uses American Sign Language for communication—also made me more nondisabled than I have ever been. I will not forget the surprise from one of my closest faculty friends when I told him I stuttered. That knowledge disrupted his assumptions about my hearing, nondisabled identity, at least in that moment. Passing across disability/nondisability boundaries can occur frequently. It may seem that moving into disability studies would have put an end to my passing, but such has not been the case. This is partly because other people can play a coercive role in the act of passing, as they try to fit me into one part or the other of the disability/nondisability binary. One scholar in the field, who identifies as nondisabled, told me I didn’t have enough personal experience with disability to justify my place in the field. This person told me bluntly, and aggressively, that unless I followed their specific recommendations regarding my scholarship and activism I would have to leave disability studies. Curiously, I had an experience only two months later that was both similar and opposite. A friend from graduate school—who knew me at a time when my stuttering was at its most extreme—remarked how serendipitous it was that I wound up at a deaf school where I did not have to speak. Although he did not intend to be malicious and was trying to talk about disability in an open manner, he was also saying that disabled voices like mine do not have a place in a mainstream university. Perhaps he forgot that I won a teaching award while in graduate school and had successfully taught at three mainstream institutions. Although these two people tried to force me into opposite categories of disability and nondisability, both used those identities to deny or threaten my right to occupy a specific space; one imposed on me a nondisabled identity to threaten my position within disability studies and the other imposed a disabled identity to deny me a place within mainstream academic institutions. Yet while those two examples show how passing can be used to deny access to opportunities, often the opposite has been the case. Throughout my life many people have thought of me as nondisabled. Views of me as nondisabled (as well as white, male, and straight) have come with privileges and opportunities that would not be offered to many disabled people. I now find this troubling, though I appreciated it when I was younger and had not thought critically about disability. Similarly, being encouraged to pass as disabled can also offer benefits. Graciously and with the intention of opening doors to me, many disabled scholars have suggested I claim a disabled identity. One historian, who is hard-of-hearing, remarked that when I present at conferences I am more disabled than she because the podium makes my disability more visible than hers. One of the leading scholars in the field, Rosemarie Garland-Thomson, has also said she thinks I should identify as disabled. While I appreciate the kindness of these gestures I still have some problems identifying as disabled. Important among them is my support for disability as a political movement. As Deborah Stone points out in her classic work, The Disabled State, disability functions partly as a political category to offer an oppressed group political privileges such as social aid, exemptions from some obligations of citizenship, and civil rights protections. I have not experienced the prejudice and discrimination that many disabled people face, so for me to claim a disabled identity undermines the political cause of disability. So rather than claim a disabled or nondisabled identity, I see myself occupying a liminal space that defies the disability/nondisability binary and can best be understood within the broad framework of passing that Dan Wilson and I establish in our book. There are now times when I especially appreciate that my identity defies easy categorization, and none more so than when I give a presentation. When I speak I present problems for my audience; I imagine that many struggle to figure out what category I fit into, given incongruities between my appearance, my mode of speaking, and the topic that I address in my talks. To the extent that my presence raises questions and causes confusion, it becomes an additional tool for pointing out the complicated nature of disability and identity. Nonetheless, it still frustrates me when stuttering makes it more difficult to convey my ideas and to do so within a time limit. For me the issue of disability will probably never be simple and straightforward. This week in North Philly Notes, Athan Theoharis, author of Abuse of Power, considers Edward Snowden and the questions his revelations raise about secrecy and accountability. The recent debate over Edward Snowden’s revelations of the National Security Agency’s (NSA) massive surveillance programs raises serious questions about the conflict not only between security and liberty interests but, as important, between secrecy and accountability. 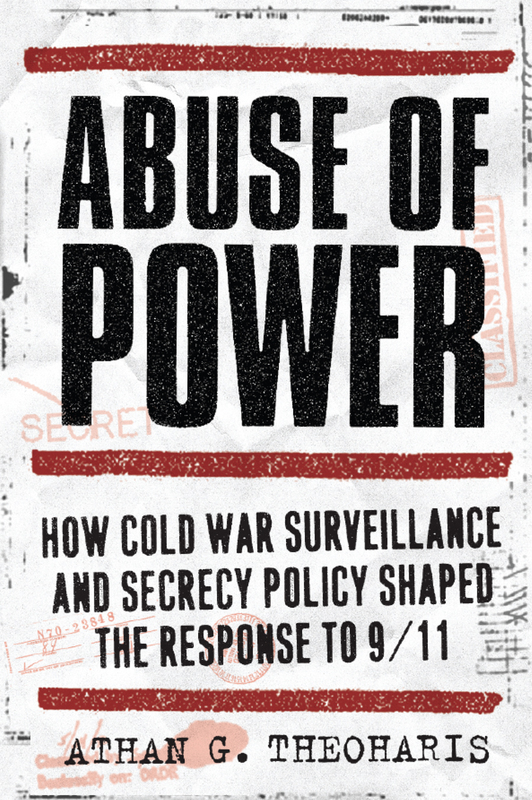 These conflicts are particularly highlighted by the post-1970 revelations about the various surveillance programs instituted by the NSA, the Central Intelligence Agency (CIA), and the Federal Bureau of Investigation (FBI) during the Cold War era. The rationale then was that the FBI, CIA, and NSA must be accorded wide latitude if threats to the nation’s security interests posed by “subversives” were to be anticipated and prevented. In contrast, the rationale for granting the FBI, CIA, and NSA wide latitude today is to anticipate and prevent “terrorists.” Because the reality of the FBI’s, NSA’s, and CIA’s surveillance programs during the Cold War years became known decades after their inception—either through congressional hearings of the mid-1970s or the subsequent release of these agencies’ records in response to Freedom of Information Act requests—we painfully learned that ideological criteria defined who was targeted and the duration of the targeting, that intelligence agency officials were emboldened to violate the law, and, ironically, that very few legitimate security threats were uncovered while real security threats were missed. As disturbingly, we learned, for one, that the acquired information (because serving no legitimate security interests or acquired illegally) was thereupon purposefully and surreptitiously leaked (whether to “friendly reporters or members of Congress) to promote the political and policy interests of intelligence bureaucrats and that intelligence agency officials acted without the effective oversight of White House officials and the Attorney General. The claimed value of the NSA’s metadata program is challenged by our knowledge of one of these Cold War surveillance programs, the CIA’s code-named HTLINGUAL program. In 1953, CIA officials sought the Post Office’s approval for a mail cover program under which they would be allowed to copy the names and addresses of the senders and recipients of mail to and from the Soviet transmitted through the LaGuardia post office. Concluding that this program was not technically illegal in that the mail would not be opened and delivery would only be temporarily delayed, Post Office officials agreed to this request. When conceiving this program, CIA officials had hoped to acquire information about social and economic conditions in the Soviet Union, an objective that would require opening the mail. Without seeking Post Office approval, HTLINGUAL became a mail opening program. Quite independently, FBI officials in 1958 sought Post Office approval for a similar mail cover program, hoping to be able to identify recruited Soviet espionage agents. Post Office officials referred them to the CIA and they were thereupon advised that Agency personnel were actually opening and photographing the contents of the mail. CIA officials agreed to provide the FBI with copies of the intercepted correspondence. In the 1960s, concerned about the “flap potential” should this illegal program be discovered, the CIA’s Inspector General eventually concluded that the program could continue (in part because the office staffed by CIA officers could be quickly dismantled allowing the CIA to deny that it was opening mail). During this review, CIA officials concluded that the program did not advance the Agency’s intelligence interests (after all, the Soviets censored the mail) but was of interest to the FBI. Questioned by Church Committee investigators about this program in 1975, FBI officials conceded that not one Soviet agent had been uncovered and that 95% of the contents was “junk”—this despite the fact that 215,820 letters were opened and photographed with the CIA compiling a data base of 1.5 million names of “subversive” Americans. 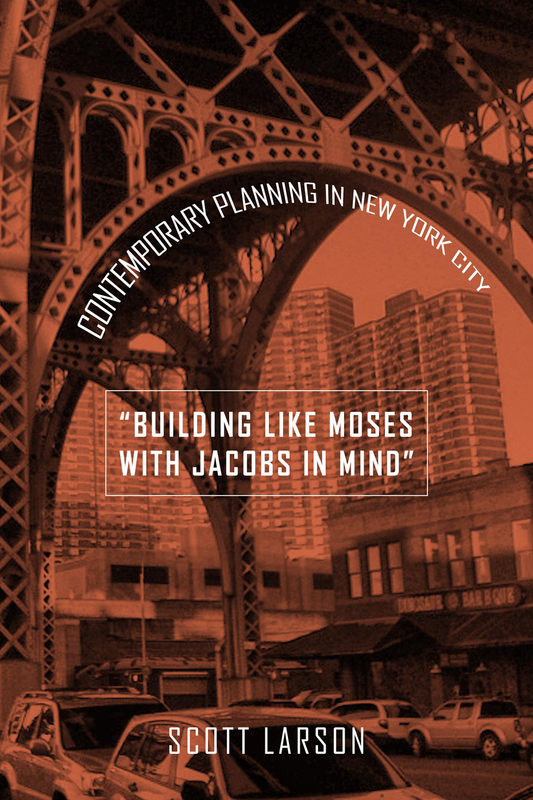 In this blog entry, Scott Larson, author of “Building Like Moses with Jacobs in Mind,” reflects on the state of Michael Bloomberg’s New York this Mayoral election year. In November residents of New York City will go to the polls to elect a mayor not named Michael Bloomberg for the first time in 12 years. Already some New Yorkers are taking the opportunity to reflect on what they see as the successful aspects of the Mayor’s three terms in office. They point to a drop in crime, the expansion of the city’s network of parks and public spaces, as well as initiatives aimed at expanding public transportation and bike use, greening city streets and encouraging healthier lifestyles. Others tout the transformation of wholesale city neighborhoods, focusing on the redevelopment of the city’s waterfront and old industrial neighborhoods and the revitalization of its real estate market. Like the Mayor, they celebrate what they see as New York City’s ascension to the forefront of an elite network of global cities. But in doing so they are overlooking a number of disturbing trends. According to the administration’s own analysis, between 2009 and 2011 the number of residents with incomes less than 150 percent of the official poverty threshold grew 2 percent, to 46 percent of all city inhabitants. That means that in 2011, a family of four could earn as much as $46,416 and still struggle to make ends meet. In addition the number of New Yorkers actually living in poverty increased almost 4 percent– from 19.8 percent in 2007 to 23.6 percent in 2011. Especially hard hit were Hispanics, Asian working families and recent immigrants. That these increases occurred at a time when unemployment rates were at five-year lows only underscores the troubling dynamics at work: a slow and incomplete recovery from the financial crisis/recession of 2008 and a dearth of jobs offering a living wage even as federal benefits programs designed to keep many Americans from slipping into the ranks of the poor face determined political fire from the conservative right. All of which begs an obvious question: can a city in which almost one half of all residents live at or near poverty level really be considered successful? By virtually any measure whoever succeeds Bloomberg as mayor will inherit a city of increasingly divergent realities. On one side are the wealthy, largely white and well connected. On the other side stand the growing ranks of the un- and underemployed, often people of color, left to make do at the ever-shrinking margins. As I argue in “Building Like Moses with Jacobs in Mind,” this fragmentation should come as no surprise. For more than a decade the Mayor and his administration have pursued planning and land-use strategies designed to remake the city along class, and by extension racial, lines. From Brooklyn’s Atlantic Yards to the East River waterfront in Queens and Manhattan’s Manhattanville, corporate subsidies, tax breaks, threats of eminent domain and zoning changes have been used to displace poorer residents and clear working class neighborhoods in favor of private redevelopment schemes and city-shaping, capital-attracting design projects. Developers and designers might relish this return of the master plan, especially since under the Bloomberg administration they’ve been given the reigns for reimagining the city in the 21st century. But the result so far is a city increasingly hostile to anyone who doesn’t work in the “creative” economy and who can’t afford a luxury condo. Whether any of the 11 mayoral candidates – seven Democrats, three Republicans and one Independent – recognizes the relationship between the planning policies that mark the Bloomberg era and the city’s growing class divide is unclear. So far remarkably little attention has been paid to their views on land use and urban planning. And that’s unfortunate because after 12 years of little more than lip service in regards to public participation, all New Yorkers deserve a serious conversation about their role in the process of shaping the city’s future. I followed the recent Senate debates on immigration reform with a familiar sense of foreboding. Whatever cautious optimism I might have allowed myself early in the debates dissipated with each step of compromise and concession—the “path to citizenship” for 11 million undocumented people already in the U.S. coming with the very expensive price tag of $46 billion in border reinforcements. The historical pattern continues: when Congress considers expanding opportunities for legalization, they must simultaneously show that they are “securing the borders” against too many brown people from the south. King’s warning reveals that the border control amendment will affect the same people who will have the opportunity for legalization because it casts all immigrants under the same suspicious eye. The irony, even the hypocrisy, of the deal is that in order to recognize 11 million people who are already within the borders of the nation, it must cast aspersion on their home countries. In making immigration reform contingent on a further militarization of the border, the Senate reinforces the discourses and material effects of xenophobia derived from the categories of Us and Them—even as it proclaims the nation’s inclusion of those already here. These othering discourses affect people perceived to be Other whether are not they are legal; just ask Latinos in Arizona stopped by police under the auspices of the infamous SB 1070. This reliance on categorical ways of thinking is the very issue I challenge in Intimacy Across Borders, where I draw on the work of philosopher Emmanuel Levinas to explore the idea that face-to-face encounters between peoples of different cultural backgrounds has considerable potential to break down identity categories. 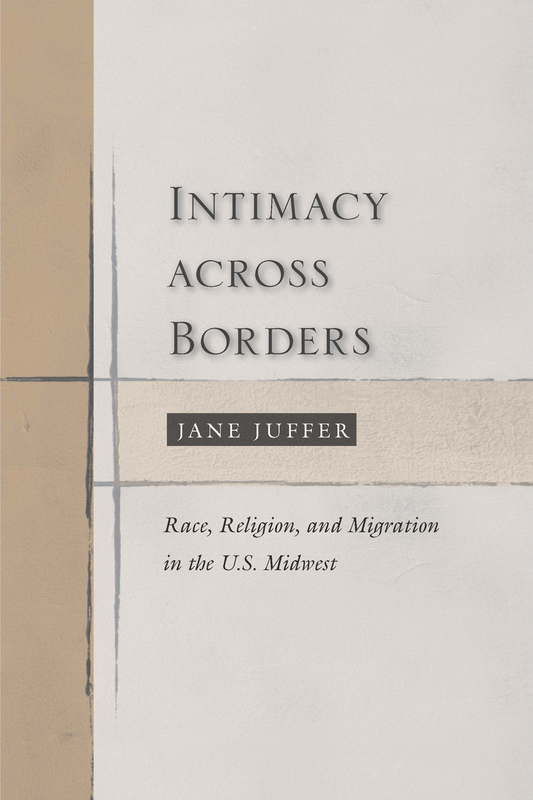 In the towns that serve as the focus of the book—small agricultural communities in northwest Iowa—Latino migration has transformed previously all-Anglo populations. While racism and xenophobia do of course exist, the everyday encounters that characterize life in a small town are more often characterized by mutual concerns and the desire to build community: has there been enough rain for this year’s corn crop to flourish? What are the prospects for this year’s high school football team? How will the local elementary school accommodate the growing number of children in each grade? When I return to visit my parents and take my young son to the park, he is just as likely to play with a child who speaks Spanish as one who speaks English, or, more likely, one who speaks both. The congressional obsession with border security seems so far removed from this life. Yet of course legalization would make a big difference to the large number of undocumented Latinos in these small towns. People who fear being stopped by police and asked for their licenses would have some peace of mind. The meat-packing plant and the dairy farmers would need to worry less about their workers being deported. Children would need to worry less about their parents being deported. Why, then, given the seeming congressional recognition of these concerns (as well as benefit to the U.S. economy), is it necessary to link legalization to border security? It seems ultimately that the latter will undermine the effects of the former, as anyone who at one point came from south of the border could still be linked to the threat of terrorism. When will the need to construct racialized and feared categories of Others no longer serve as the basis for U.S. immigration policy? In this blog entry, Benjamin Hunnicutt, author of Free Time, ponders the mysteries of living to work and the frantic pace of our lives. Widespread complaints (Google “overworked” for the past 24 hours!) about the frantic pace of our lives multiply. Everyone seems to be progressively anxious, overworked, overbooked, and overstressed. Few expect relief, even when vacation season begins. “Live to work” seems to have become the unavoidable human condition. On its face, this seems a strange state of affairs in this, the richest of nations. Set in relief against the backdrop of American history, it is incredible. For nearly forty years I have been struggling to solve what I am convinced is one of the great mysteries of our time. Beginning early in the nineteenth century and continuing for over a hundred years, working hours in America were gradually reduced, cut in half according to most accounts. No one predicted that this was going to end, much less that would be complaining about the frantic pace of our lives. On the contrary, prominent figures such as John Maynard Keynes and George Bernard Shaw regularly predicted that a “Golden Age of Leisure” would arrive well before the twentieth century ended when no one would have to work more than two hours a day. As late as the 1960s and 70s, the likes of Times Magazine’s Henry Luce, CBS’s Eric Sevareid, and John Fitzgerald Kennedy were sure that leisure would soon overtake work as the center of life. However the century-long shorter work hour process stopped after the Great Depression. Since then we have had little or no decrease in our work – indeed, the work year has expanded over the last few decades. We work about five weeks longer now than we did when John Kennedy was president. Most of us would think a return to a forty hour week would be heaven-sent. Unlike previous generations, we no longer worry about leisure’s challenge. Over the years, I have spent untold effort, overworking myself trying to solve these mysteries, exploring various social, economic, and historical developments. At last, I have come to the conclusion that the most important reason for the end of shorter hours, the frantic pace of life, and the unquestioning acceptance of “live to work” is something like a nation-wide amnesia. In, Free Time: The Forgotten American Dream, I attempted to re-present the traditional American dream of steadily increasing freedom from work. As we began to “solve” what John Maynard Keynes called the “economic problem,” a host of Americans, from colonial days to the mid twentieth century, assumed that our time would become more valuable to us than new goods and services we had never needed, or even seen before. Then we would welcome the opportunity to live more of our lives outside the marketplace. Then we could begin to make some real progress, developing our potential to live together peacefully and agreeably, spending more of our time and energy forming healthy families, neighborhoods, and cities, increasing our knowledge and appreciation of nature, history, and other peoples, freely investigating and delighting in the mysteries of the human spirit, exploring our beliefs and values together, finding common grounds for agreement and conviviality, practicing our faiths, expanding our awareness of God, wondering in Creation—a more complete (but far from exhaustive) catalogue of such free activities envisioned over the course of our nation’s history is one of the burdens of my new book. Claiming a vantage point as democracy’s poet that opened to him “Democratic Vistas,” Whitman recorded scenes of an American future in which all would be free to celebrate and sing. Monsignor John Ryan envisioned “higher progress” as increasing opportunities beyond necessary work and the marketplace to “know the best that is to be known, and to love the best that is to be loved.” Struggling to save the Jewish Sabbath in America, Abba Hillel Silver wrote that the Sabbath was “much more than mere relaxation from labor. It is a sign and symbol of man’s higher destiny.” The Sabbath provided a model for “higher progress” because it represented the importance of time for tradition, family, spiritual exercise and for developing our free, humane interests. Radicals and socialists such as Helen and Scott Nearing, Norman O. Brown, and Herbert Marcuse saw increasing leisure as a form of bloodless, democratic revolution, and progressively shorter hours as the practical way for Americans to free themselves from the tyranny of corporations. They predicted that with abundant leisure and public education, ordinary citizens would begin to understand that perpetual work and everlasting scarcity were the creatures of capitalism and corporations rather than laws of nature. Increasing free time might translate into the political power necessary to counterbalance the building tyranny of concentrated wealth. Naturalists and environmentalists such as Aldo Leopold and Sigurd Olson argued that an economy that produced more leisure instead of ever more consumption was the last, best hope for the preservation of the natural world. Parks, wilderness preserves, and national forests held open the possibility that humans could learn and nurture an alternative, leisure-relationship with nature, based on wonder and celebration rather than exploitation and development. Poets such as Vachel Lindsay; playwrights and theater builders such as Percy MacKaye, Paul Green, and E. C. Mabie; painters such as Grant Wood and Thomas Hart Benton; architects such as Frank Lloyd Wright and Ernest Flagg; musicians such as Shin’ichi Suzuki; chefs such as Julia Child; and craftsmen such as Elbert Hubbard envisioned a world in which citizens wrote their own poetry, staged their own local dramas, performed pageants, played and sang their own music together as naturally as they spoke their mother tongue, cooked gourmet meals for each other, and helped design, build, and decorate their own homes in their free time. Understanding our lives as the subjects of our own community-based literature, drama, sports, fine arts, and quotidian discourse, we moderns had the potential to transfigure the commonplace, elevating everydayness with the do-it-yourself creations of democratic artist and artisan. “Higher progress’s” free, creative endeavors would join people in vigorous, free civic engagement, creating communities held together by tolerance, conviviality, and perhaps even affection. 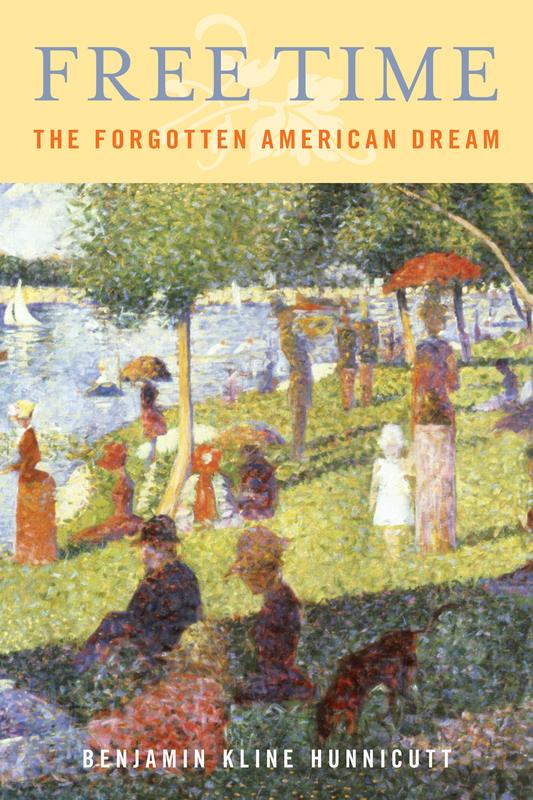 By the middle of the last century, the original American dream seemed to be coming to life. The days were arriving when Americans children devoted more and more of their lives to what John Ryan foresaw as opportunities to “know the best that is to be known, and to love the best that is to be loved.” The day of democratic community and culture was dawning. Real progress was just beginning. I have long argued that this strange turn of events might be best explained by a new, primarily twentieth century view of work, what might be called, pace Max Weber, “the spirit of capitalism.” This novel belief elevated work, for the first time in history, as an end in itself rather than the means to other, better things— as the main arena in which to realize the full potential of human beings. Two historical corollaries followed the advent of this belief: the perpetual need to regenerate work continually lost to technology; and perpetual economic growth necessary to support eternal work creation. This new American dream and its corollaries, together resembling, more and more, a new modern faith/religion (what Robert Hutchins called “salvation by work”) eclipsed both the “forgotten American dream” and the shorter working hours process that supported it for so long. As shorthand, I have called this new, thriving faith “Full-Time, Full Employment,” tracing its origins to Franklin Delano Roosevelt’s first two administrations and outlining its continuing, pervasive political, economic, and cultural ramifications, summed up in the politician’s mantra, “jobs, jobs, jobs” and the corporate apologist’s job-creation based justifications of obscene corporate salaries and practices. But “Full-Time, Full Employment,” is not sustainable. The belief/expectation, “good jobs” for all, is a failing faith: a hopelessly utopian dream. The perpetual economic growth necessary is unsustainable on several levels. The environment: As so many have pointed out, sooner or later, the environment will be depleted— nature is showing more and more signs of her exhaustion. Politically: governments’ efforts to sustain “Full-Time, Full Employment” have passed the point of diminishing returns as progressively slower economic recoveries and mounting debt complicate governments’ attempt to stimulate their economies. Economically: as governments’ efforts fail, chronic unemployment and more frequent and severe cycles result as job killing machines continue to outpace the job-creating abilities of modern economies (economic growth will have to advance at record high levels for decades in order for most of the modern industrial nations to grow themselves out of chronic unemployment). Globalization and the Internet compound the problem of chronic unemployment. Ideologically: what Robert Hutchins called “salvation by work” is progressively unable to fulfill its promise of good jobs for all, creating new generations that feel betrayed by their jobs. Economic growth has become cancerous, destroying healthy culture and civility, destabilizing the vital functioning of society and undermining the essential foundations of trust. “Full-Time, Full Employment” has produced what Herbert Marcuse called “one-dimensional man,” nearly incapable of imagining anything better than work for more work, or of recognizing when he has enough, pilling up evermore wealth, security, reputation, and consumer goods with no destination in sight. We are prevented from realizing the forgotten American dream by no inexorable political or economic reality. Shorter working hours remains the portal to the “realm of freedom,” offering an eminently more practical and sustainable future than the pursuit of eternal economic growth and everlasting job creation. What only is lacking is belief and commitment. With the revival of the forgotten American dream the will to change might reemerge, either by government regulation of work hours or, much better still, at the level of individual firms such as Kellogg’s and through individual choices in the marketplace. Higher Progress will be possible once again when more of us choose freely to liberate more of our lives from the economy, making the most basic of consumer choices to forgo new spending and luxuries, as well as modern illusions about the everlasting need for more wealth and work, in favor of spending our lives beyond work and outside the marketplace.